@Admin NEED HELP - Juvenile Quezt Missing! I need some help from the Admin. I was raising a baby Quezetl. It was level 166 and was at the juvenile state. From character Warpdust in tribe Triad. It was in our 3rd floor aviary and is suddenly MIA! But the logs dont show it dead. Could you please with haste see if you can find it and rescue it before it starves. Would be greatly appreciated. We would have loved to help but we got no location or tribe name to go on. We looked around under the world and didn't see anything. Tribe is Triad- that was there. The base is just to the west of the volcano, by the river. hard to miss. I can vouch that I saw the Juvenile Quezt on the 3rd floor before leaving on a scoutting trip, when Warpdust logged on about 20 minutes later, he said it was missing. I returned to the base, couldn't find it either. Checking the tribe logs just shows when he claimed the baby quezt, no entries for death. Seems the baby must have died and it just didn't register or the game somehow glitched. If it was on the third floor in that short of time span it should have only fell through one floor if any. There was nothing under the world so I don't have a clue on what happened. It seems this sort of thing has happened twice this week so it might have something to do with a patch. 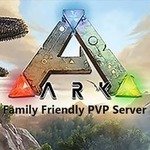 We will report it to the Ark Devs hopefully if we are not the only one this is happening to they might look into it and find a fix. Thanks for checking. That is really disappointing but I appreciate you looking.